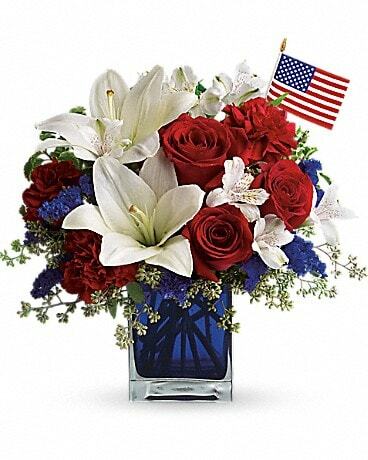 A Jay's Florist custom design, Baker's Dozen Bouquet, features a colorful mix of roses and carnations in a glass vase, greens, baby's breath and a bow. 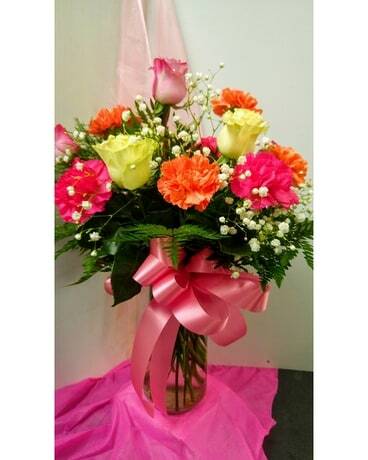 Colors will vary from those shown depending upon availability, consists of 6 roses and 7 carnations. This is a colorful gift ideal for any occasion. If a particular color is preferred, please call for availability.